Are your responsibilities as room parent for your child’s class becoming a part-time job? This by far elicited the best response from parents and always insured the kids had awesome parties. Once the forms have been returned to you, then you can start filling in the blanks on the form. Send this next form out as soon as possible with the blanks filled in. 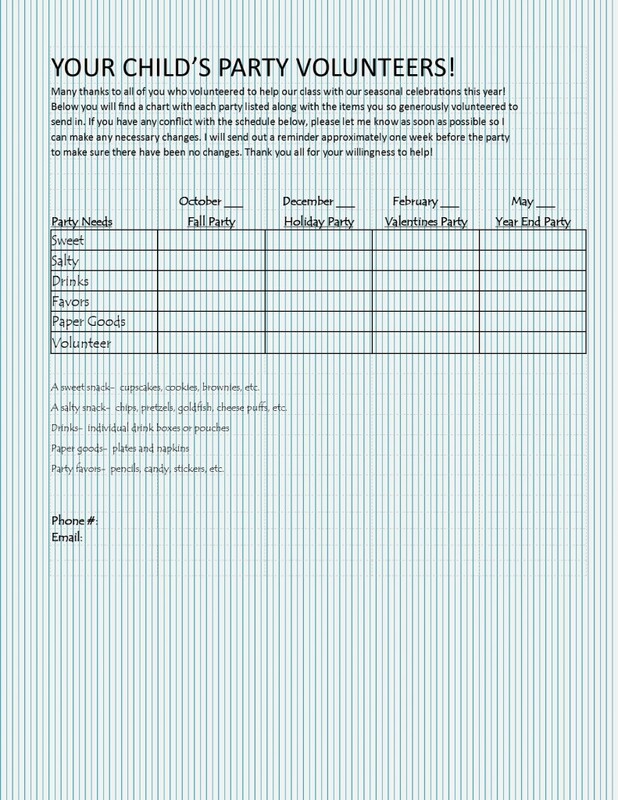 One week before every party, send the list out again in the Wednesday/Signature folder to remind your volunteers. I found that sometimes parents needed an email or phone reminder as well. I hope this helps make your job easier and all of your child’s parties that much more fun! 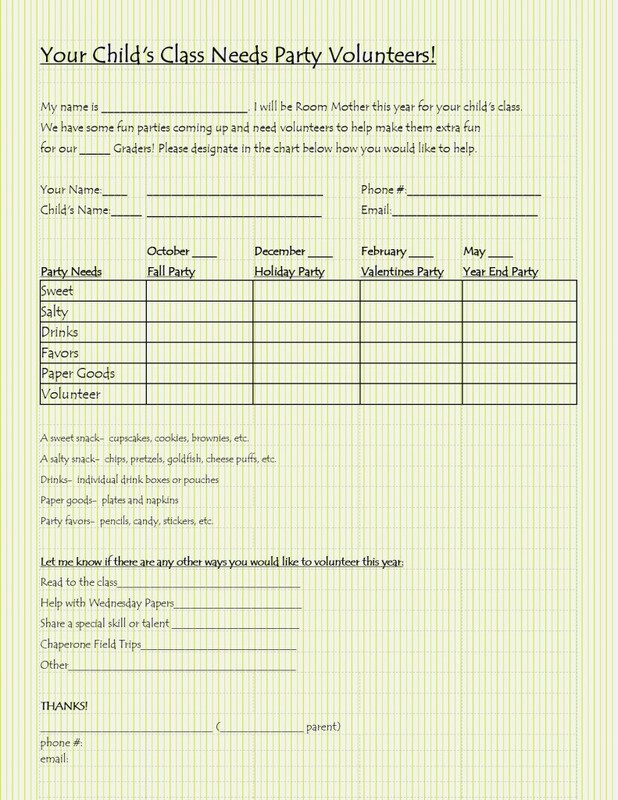 PS- Keep all the original filled out forms together in a separate folder so you have the parents’ contact information ready if you need it!